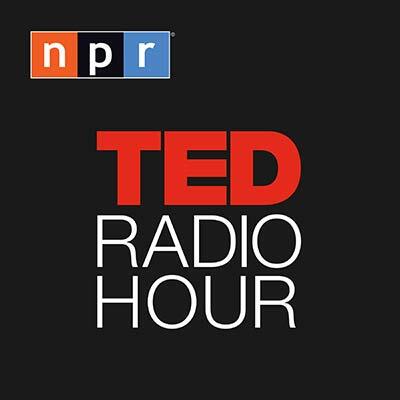 The TED Radio Hour is a journey through fascinating ideas, astonishing inventions, fresh approaches to old problems, and new ways to think and create. At 17, Ruby Sales witnessed the shooting of one of her fellow civil rights activists. She explains how despite the trauma, she went on to devote her life to fighting for social and racial justice. How do our present thoughts and actions affect the future? Futurist Angela Oguntala shares ideas on how imagining the future we want to see is the first step toward achieving it. Sarah Corbett: How Can Introverts Be Activists Too? Sarah Corbett describes herself as an extreme introvert — but she's also an activist. She discusses how alternate forms of activism allow people like her to participate in quietly powerful ways. As a lifelong activist, Dolores Huerta has learned how to use her voice to fight for social justice. She discusses the power that all of us have to demand justice and spark movements for change. In the digital age, the power of the collective has led to movements such as #MeToo and Black Lives Matter. Jeremy Heimans discusses how we can continue to use "new power" to drive activism. What does racial literacy look like in today's social climate? Howard Stevenson talks about navigating racially stressful encounters, and how it's actually an acquired skill-set. Sports is supposed to be "the great equalizer," but Pat Ferrucci says the language sports journalists use often stereotypes athletes by race. He says acknowledging this is one step toward changing it. Black girls are disproportionately punished more often in schools. Monique Morris says schools should be a place for healing rather than punishment to help black girls reach their full potential.